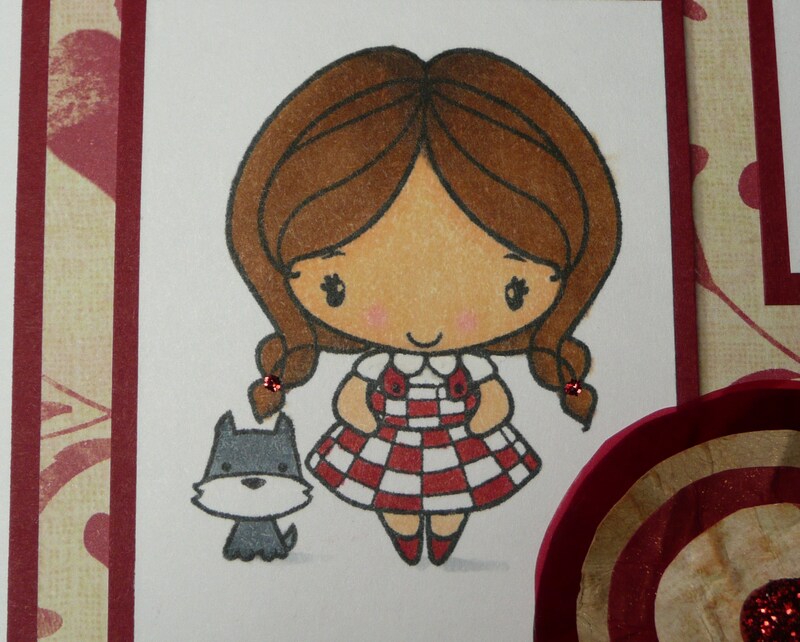 Below is my card, I think it turned out cute! It’s simple but perfect to brighten someone’s day. 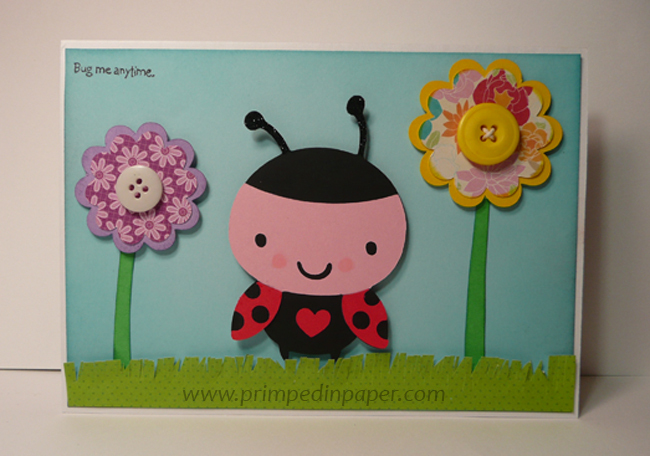 The ladybug and the scallops are cut with the Create A Critter cricut cartridge, the stems and the grass are hand cut and the sentiment is from Stampin Up, Very Punny. 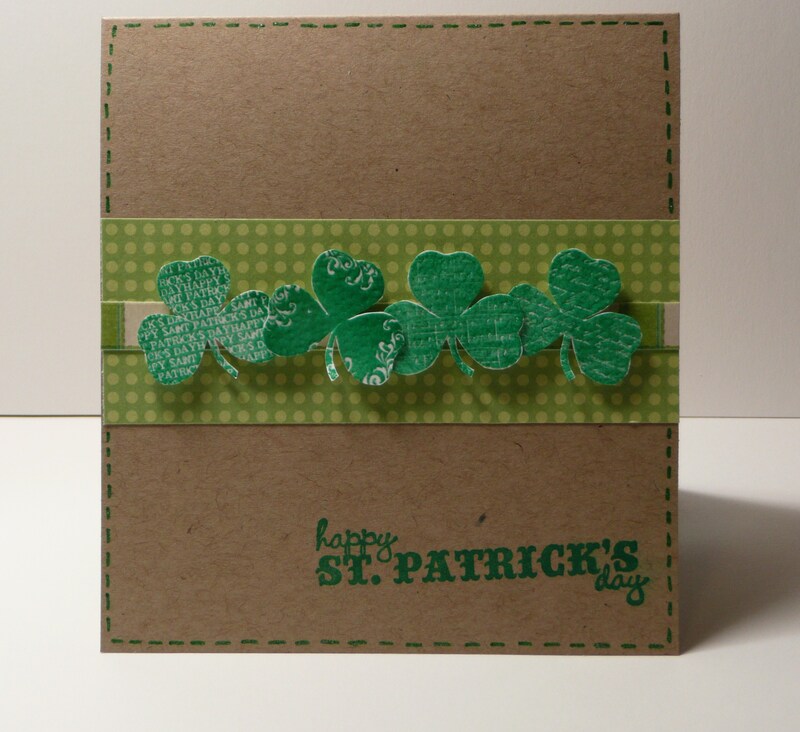 I hope my card gives you some inspiration to create and participate in the challenge. If you have any questions about this card, please let me know. Have a wonderful day! 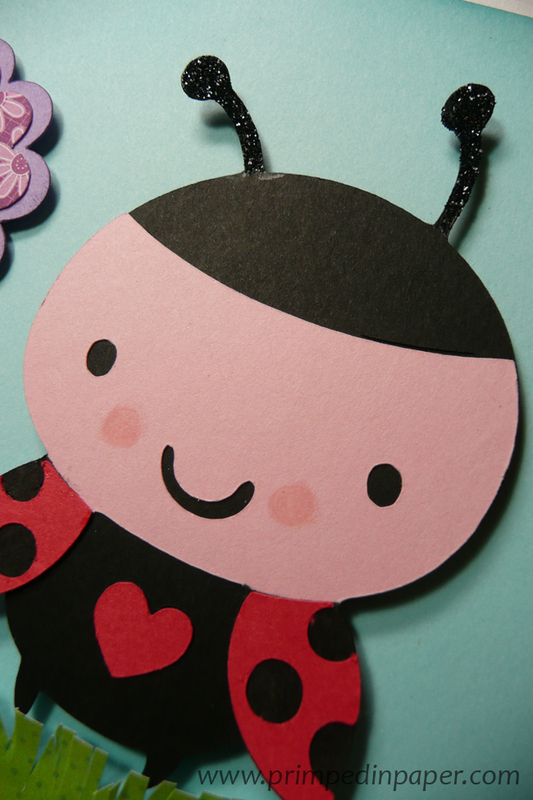 This is the cutest little ladybug! 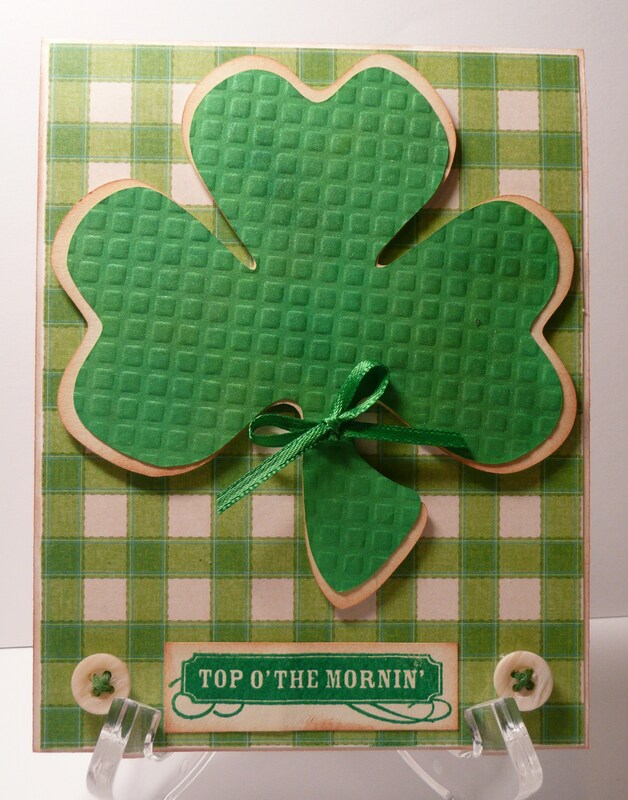 Today’s card was entered into Paper Cutz Challenge#42 (Use buttons & ribbon, lace or hemp) & Drunken Stampers #17 (Distressed chipboard). I really love how it turned out. I think this card would be great for the man in your life! 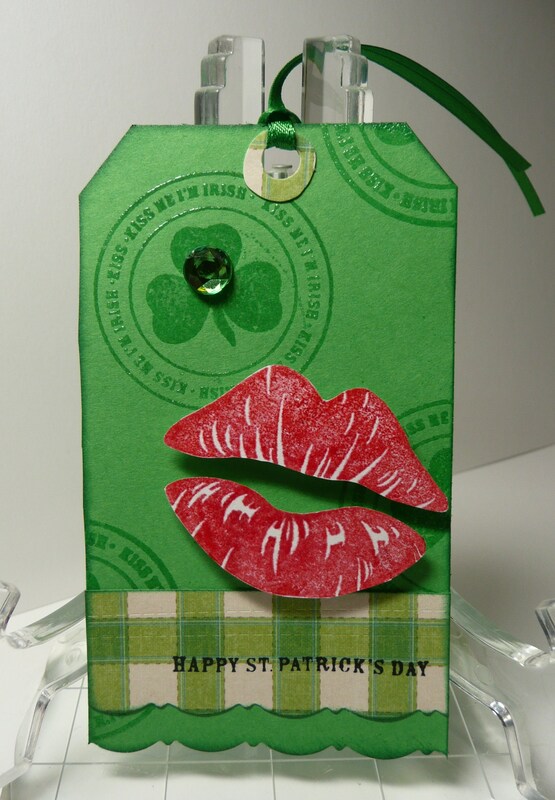 The background is stamped with a wood grain stamp and embossed with clear embossing powder. 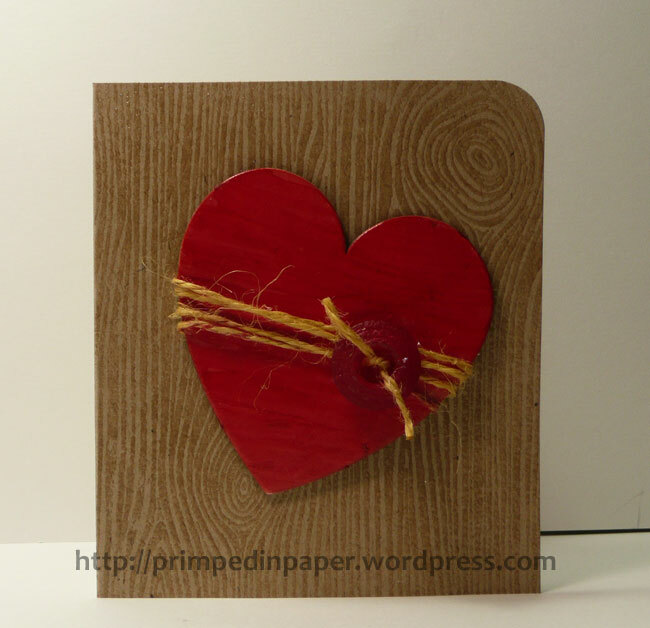 The heart is a chipboard piece colored with a red Copic marker. It had a design that I didn’t like but after two coats of Copic marker it was gone! Then I wrapped hemp cord around it and secured it with a button. After that I adhered the heart with 1/16 inch pop-dots. 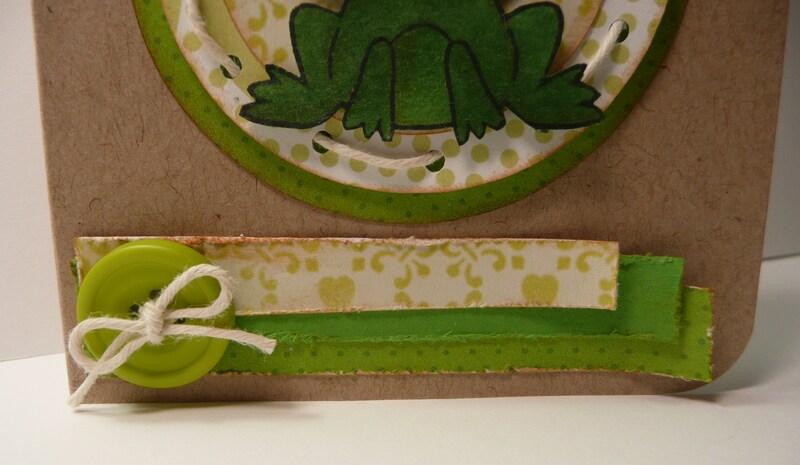 One the inside of the card I added a thinner button to accent the future message. 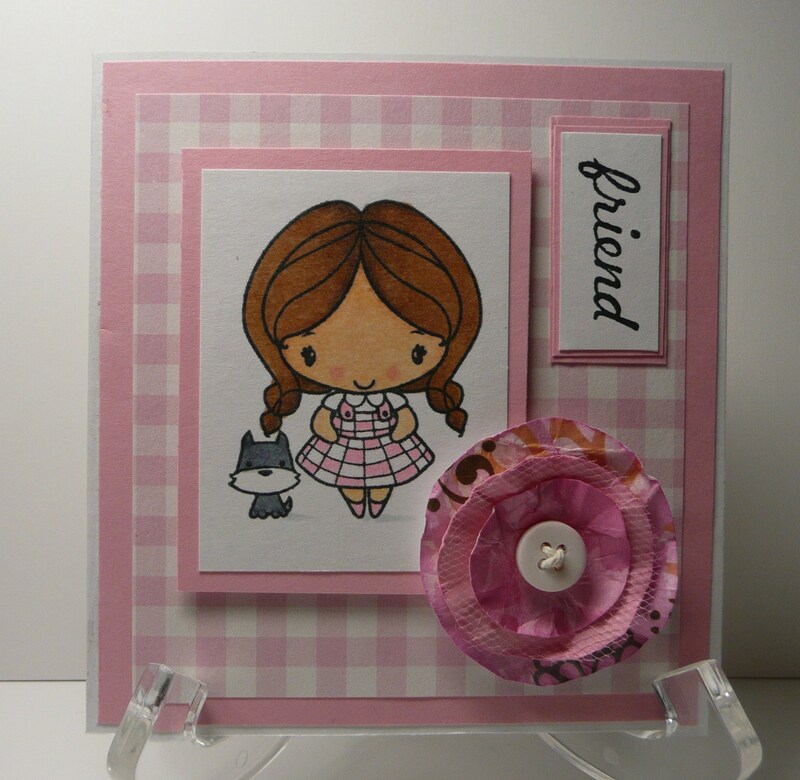 Thanks for taking a look at my card! Have a wonderful weekend! 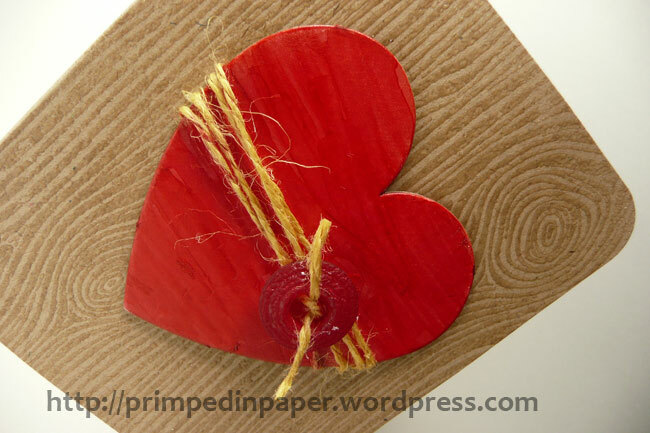 I love the textures on the button mixed with the wood grain and hemp cord textures. 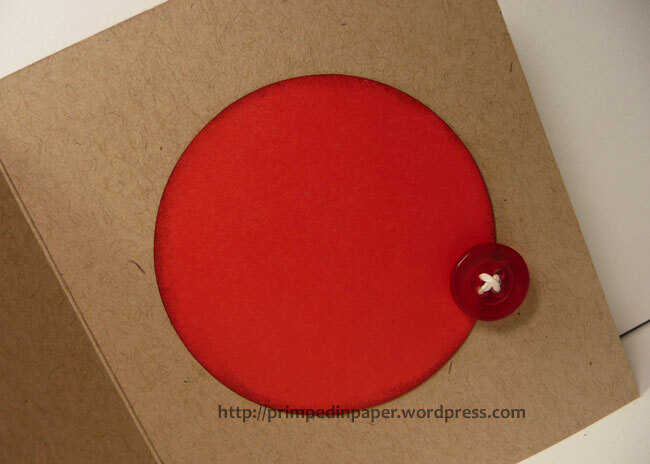 The inside of the card has a space for a message with a button accent. I decided to join in the fun at MyPinkStamper.com. 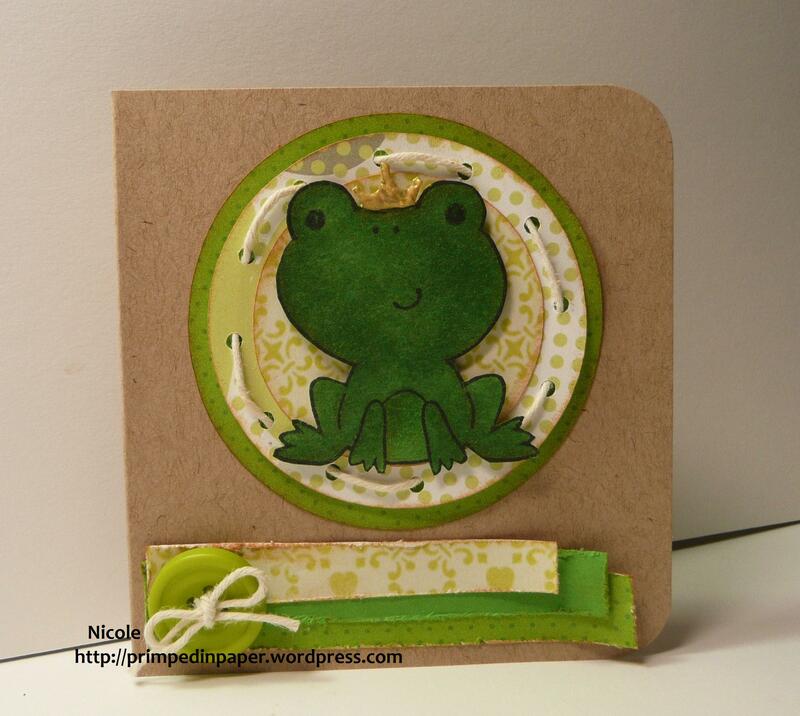 Robyn and her team have a lot of fun challenges set up for National Scrapbooking Day. 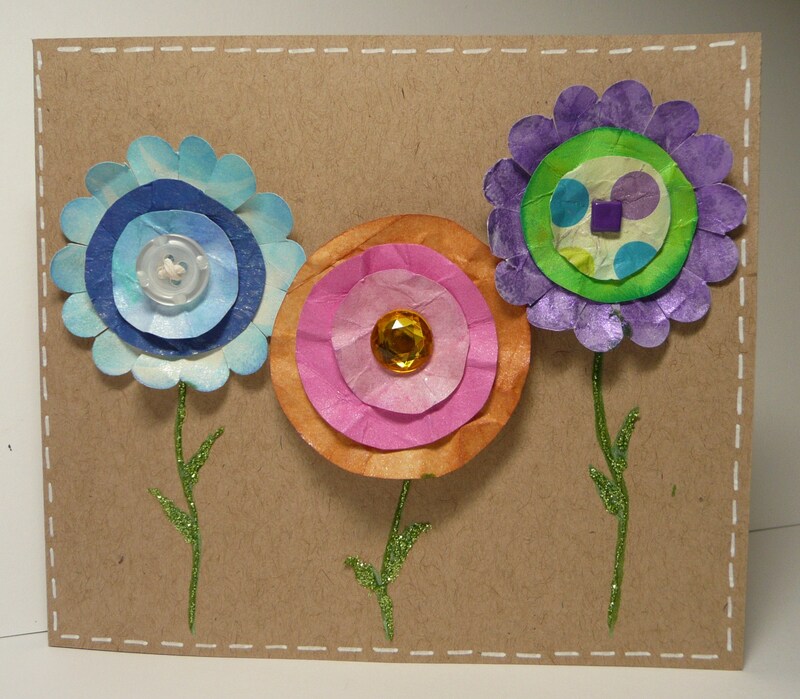 For this challenge we are supposed to make a project with flowers or something Springy! Here’s my lollipop card! 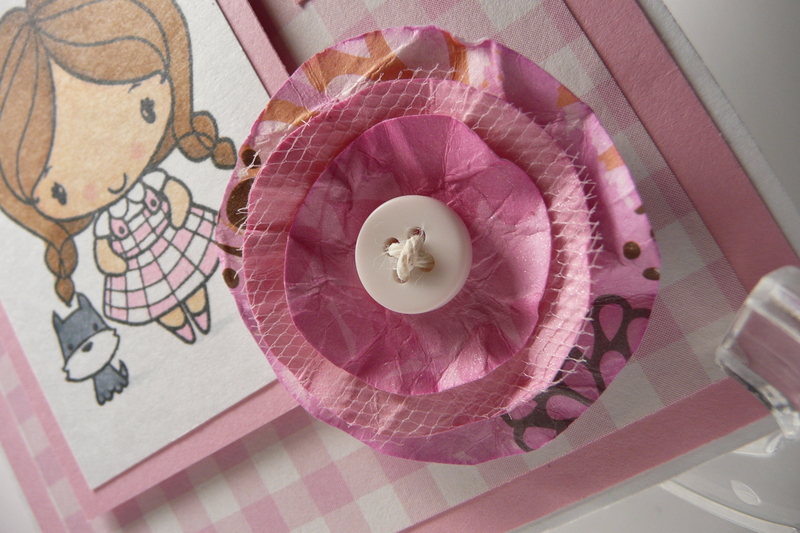 Lollipop flower card with Just Because sentiment. Here are couple cute cards that I made for my friends. 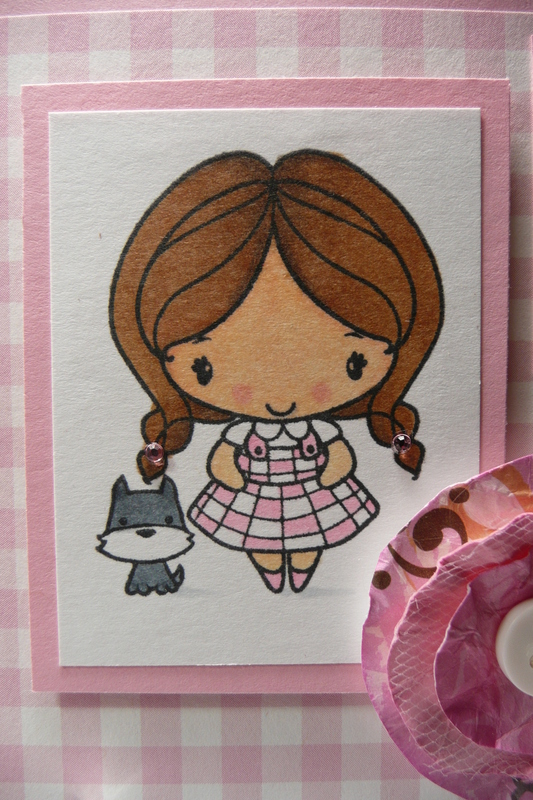 I used an Anya stamp from the Greeting Farm. She is colored with copic markers. 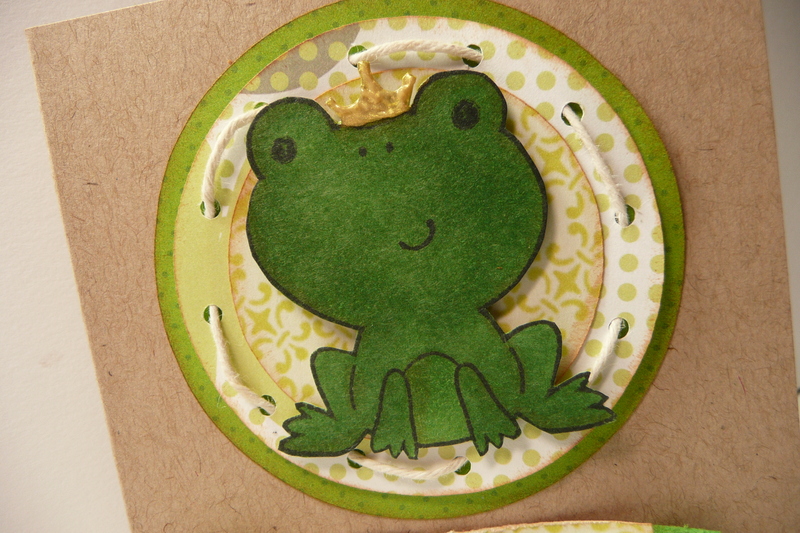 I also used patterned paper from Creative memories and K & Company. I handmade each of the lollipop flowers with patterned paper, cardstock, tulle, cellophane, ink and perfect pearls mist. The friend sentiment is from Brenda Walton. 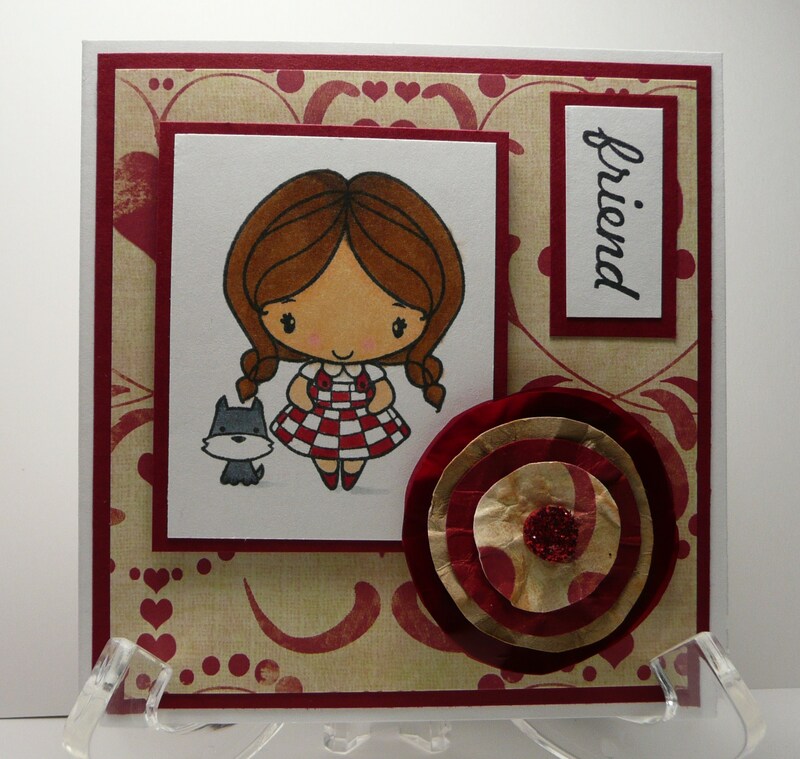 The red themed card was made for my wonderful friend Susan. She is such a sweetheart and I have loved getting to know her. She has been so supportive and sweet to me. She is a real gem and I am so happy to call her my friend. 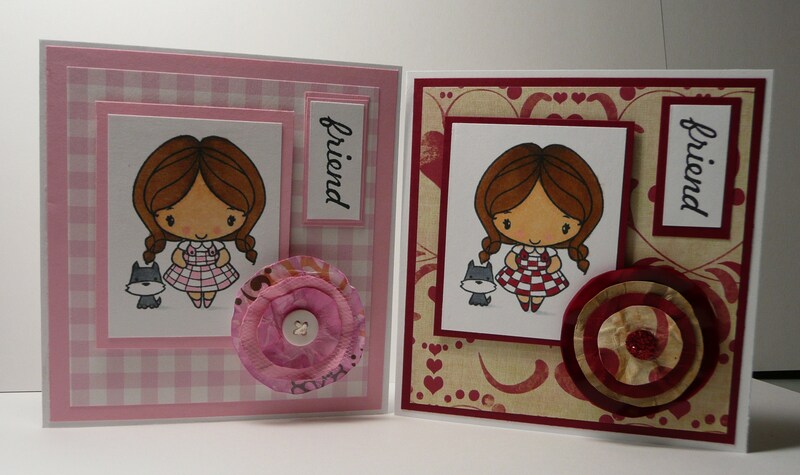 🙂 You can find her blog at One of a Kind Cards and Crafts or find her on YouTube at SuzieCrafter10. 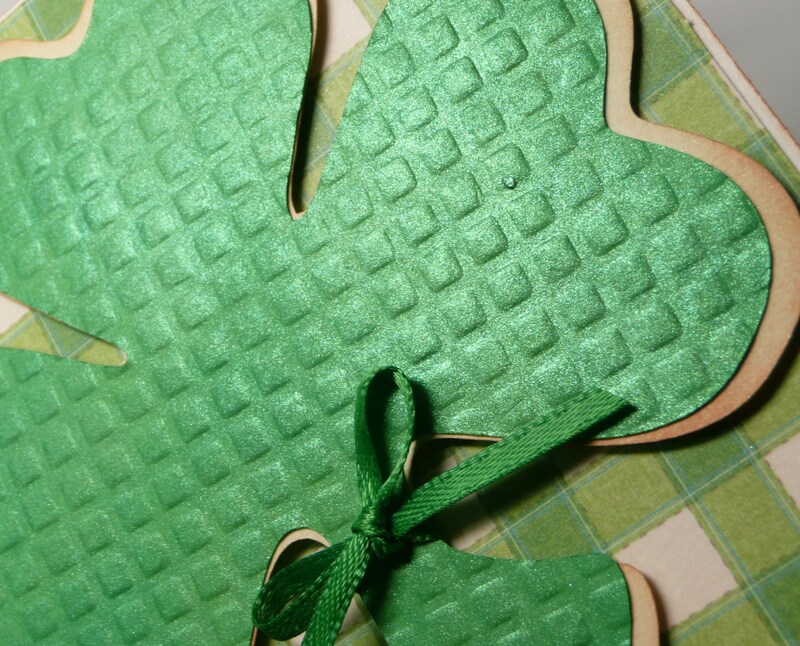 Be sure to check her out, she has the most beautiful vintage tags and handmade flowers! 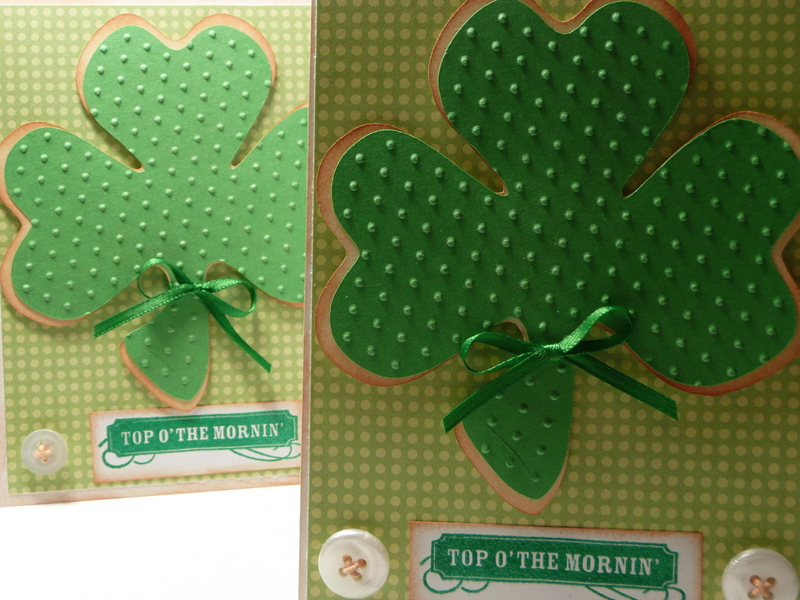 To watch my YouTube video of these cards click here! Thank you for stopping by. I appreciate your kind comments and support!